Your job search begins with your resume, which is the foundation for your LinkedIn profile, cover letter, and what you’ll speak about during your interview. Most people don’t take the time to develop a resume that effectively markets them and showcases their qualifications and value. Instead, many people will use free resume templates that they find online or ask their friends for advice and then wonder why they’re not getting called for any interviews. Your resume is your ambassador and is the deciding factor on whether you’ll be invited in for an interview or passed over for another candidate. All resumes today need to be optimized for applicant tracking systems and immediately demonstrate why you should be considered for the next step. 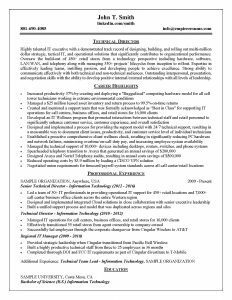 Take a look at our professional resume examples below and see exactly how we’ve helped thousands of people get their foot in the door! Your resume is the most important component in your job search and will determine whether you’re invited for an interview or passed over for someone else. 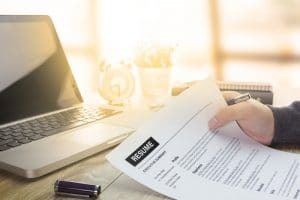 Unless you continuously spend many hours each week researching the latest recruiting trends and the best ways to write a compelling resume, you’ll probably need assistance on exactly what elements to include (and not include) in your resume. Factors such as how to incorporate relevant keywords, showcasing marketable achievements, proper formatting, and ensuring everything works with applicant tracking systems that companies use today are paramount. Our professional resume examples above exemplify the quality of work we produce. Let our expert writers based in the greater Salt Lake City area help you get the job you deserve! Next to your resume, LinkedIn is the other main component of your job search and is quickly becoming more and more important each day. Any candidate today who doesn’t have a LinkedIn profile will markedly decrease their chances of success in getting an interview. 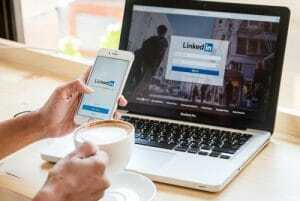 According to every major recent study conducted by the most credible sources, LinkedIn is something that practically every company uses to identify potential candidates and more closely examine applicants. LinkedIn and your resume work together and allows recruiters to gain a more comprehensive understanding of who you are. In addition to writing compelling resumes that work, our Salt Lake City experts will help you develop a complete LinkedIn profile that complements your resume and makes it easy for hiring managers to see how you can benefit their company. As recruiting technology continues to grow rapidly, people can apply for numerous positions at the click of a mouse. According to Glassdoor (2017), employers receive an average of 250 resumes for each position and are constantly looking for ways to eliminate candidates to make their job easier. One easy way to eliminate candidates is if they fail to have a cover letter included with their resume. 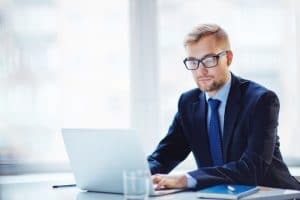 Not only is it expected for applicants to include a cover letter, but smart candidates will also tailor their cover letter to each position they apply for and address it specifically to the hiring manager by name. Let our experts create your cover letter that can be used to apply for any position.